This is one of those subjects that comes up a lot in Chinese studies, whether or not to learn to write traditional or simplified characters. Personally i say learning to read them is a must for many reasons but that's another topic. But learning to write them is still not a top priority for me and must say its on the bottom on my list. I do all the writing drills in the npcr but pretty much stop there. I think learning to write pinyin is superior in many ways (easier , pc friendly.....). Is it worth the time to spend hours upon hours learning to write a handful of characters when that time can be used on reading and speaking practice? Maybe if your goal is to write them of course but for the average person learning to speak and read Chinese is it really worth it? How often would you be writing it down on a daily basis? Interested hearing others thoughts on it. Next entry What do you use? I believe the best way to learn to read characters and memorise them is to write them as much as possible. I also think that without learning to write characters, you are missing an important part of the language and you cannot ever consider yourself fluent even if all other aspects of your Chinese is up to that level. It is a much debated subject and depends on your needs and what you want to end up doing. The way I learn characters is from flash cards and reading them. Writing them down multiple times does nothing for me sadly. Maybe if I tried writing them in sentences it would be more useful then repetitive writing. I think writing them is important but not nearly as important as speaking and reading. I would personally love to be able to write but feel at this point in my studies speaking comes first then reading. But I'm also a upper beginner I would call myself. Maybe as I progress down the road I will feel that writing is a major factor in my studies and progressing. Fluent is another subject, are you ever fluent? Without being a native or living in a country speaking it daily can you even consider yourself fluent? Maybe as I progress down the road I will feel that writing is a major factor in my studies and progressing. When do kids in China learn to write? When do they become pretty fluent in writing? And I feel your pain and knowing that a 4-5 year old is more fluent than me makes me want to work harder. But my 5 year old is pretty darn smart for her age so it's kinda understandable. Remember though, those 5 year old kids are only "fluent" with a 5 year old's vocabulary. Ask them to have a discussion about the theory of relativity or the details of how a car engine works and you will not get anything meaningful. Have a conversation about sponge bob square pants or similar you will probably get left behind , but is it useful to you? You need to put these things in perspective. By 5 year old there vocabulary is prob 2,000+ words. It's pretty amazing how much my 5 year old knows. From food,animal,countries,name every component inside a car and the list goes on. Yea they know more about children shows than I ever could even in my native tongue i totally understand that. But there knowledge of there own native tongue is still remarkable for someone looking at it from the outside. I think you must be talking in abroad sense as I doubt a 5 year old knows every component in a car ie: things like fuses, piston rings, con rods, cam shaft, push rods and so on with every part of a car. I don't know every part and I like to think I know engines. Yes five year olds know a lot but not in any detail. I am not going to get in to a how much does your kid know because I don't have kids so I have no info. My only knowledge was being a 5 year old once myself and my 2 younger brothers. Haha all good was just talking about window,switch,steering wheel,horn,shifter,speedometer and so on. Just trying to say it's hard for someone learning another language to say so much detail about something and knowing all the words. Not talking about engine internals since I know a lot too since I was a mechanic for 11 years. But just stating common knowledge stuff to us is hard to say in another language. I tend to agree that spending the time to write by hand from memory is a huge task that can take away a lot of time from learning to speak, develop listening skills, and reading. I write very sloppily and often forget how to write common words by memory, but I don't see having to write extensively by hand as being a totally necessary skill in any language as an adult. For instance, in a given month how often would I write even a paragraph by hand in my native tongue. I'd estimate it to be less than once a month. Perhaps it would be even less. If I'm writing something longer than a couple sentences, then I'm almost certainly using a computer or a phone. I'd say this is somewhat comparable to the de-emphasis on cursive/script writing that one sees in many English speaking countries. It's less important because we so often use computers. 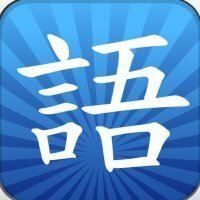 I do think understanding the structure of Chinese writing is important for reading. For instance, the connection between some common radicals and meaning is very useful when coming across new words in a text and trying to guess at the meaning without always having to stop and look it up. But really that skill can be developed outside of writing by hand from memory.